Please read this carefully before deciding upon any of these services. Due to the present Climate of ever-changing views and expectations regarding ‘Spiritual’ services on offer to the general public, I invite you to first take note of these informational points--outlined for your benefit--before proceeding further with the particular service you have chosen. As a medium/seer I cannot summon any spirit upon your behalf. I am, however, receptive should they choose to communicate to you via myself--like the telephone receiver, for instance! Also, I cannot guarantee that a specific individual you have in mind will be available. For example: If they have recently ‘passed over’, depending on how they passed, then they may not have sufficiently adjusted to their new environment, as yet; or else, they may not wish to communicate for some other reason known only to themselves. (Such does happen sometimes, you know.) In such an event, another representative may come forward; not necessarily one you might personally know or expect, and not necessarily on the intended’s behalf. In any case, much depends upon how receptive and agreeable you are. You may not wish to give them audience? Note: Specific information you require of them might not be imparted to you. Maybe, for sensitive reasons better known to them, they might not deem it as prudent or beneficial to do so, despite what you may feel or think. Also, Spirit ‘tell it like it is’ —truthfully—and how it ‘is’ may not resonate with your feeling on the subject matter. Having no authority or influence in such instances, I cannot be held responsible for any subsequent disappointment felt by my client. I hope you can appreciate my position here? Also, the law of ‘Free will’ demands that I cannot tell you what you should do in any given situation; it is always “Your call”, your decision, for which I cannot be held accountable or liable. 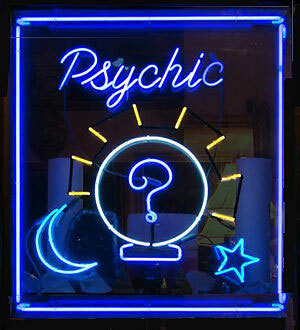 Tarot cards may be utilised during a mediumship session. However, they are merely a tool to help on a counselling level, also giving symbolic guidelines relative to certain timings, since in reality there is no ‘Time,’ only ‘cycles’ (paradoxical as it may sound). Therefore, my usage of such a tool is not to be confused with ‘Fortune Telling’… a very ill thought out term. Please try to, at least, have an open mind. If you are too negative or reserved in your approach, then not only will you affect the quality of communication by preventing the necessary links being made, but also possibly cause harm to the me, the medium/seer, in the process! Sorry, but it has to be said. So please, "don’t shoot the messenger!" Remember, your consultation is a three-way situation: you, the medium/seer, and those 'helpers' or Loved Ones’ in the Spirit World. I want you to benefit from this service in a positive way; I like you to think of it as your *quality time*...really, I do! So, please help me to help you get the most from it… Just be nice!